DOG TAGS: Village ordinance requires that all dogs within the Village must be licensed and wear tags. Dog tags are $10.00 each and must be purchased at the Village Hall by March 15th . After the March 15th deadline, the price of dog tags increases to $15 each. WATER AND SEWER BILLS: Water and sewer bills are sent out on or around the 5th day of every other month and are due on the 30th of that month (except for weekends and holidays). Charges for residential refuse collection are also included on these bills. A schedule of rates is available at the Village Hall. 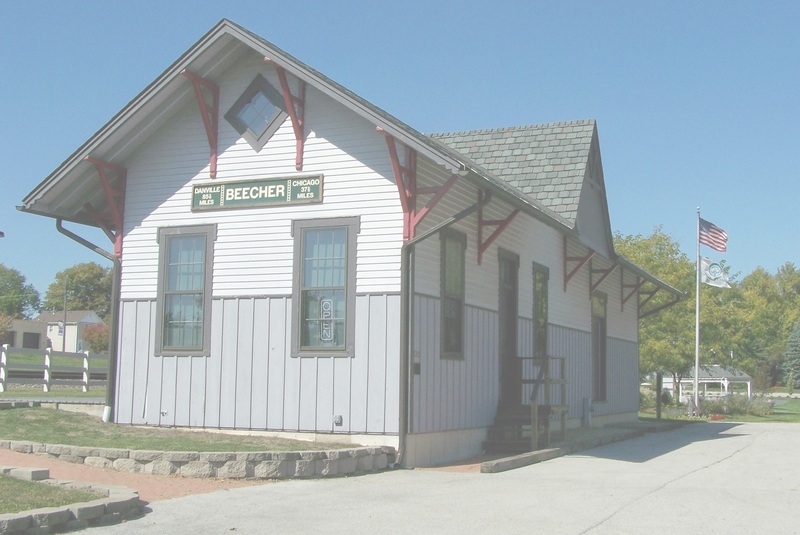 METER CHARGE: All properties that change hands in the Village of Beecher are required to install a radio read water meter at the new owners expense. A one time charge of $275 is assessed for the radio read unit and is installed by Public Works (for new construction, the plumber installs the meter). HYDRANT FLUSHING: The Department of Public Works conducts regular hydrant flushing in the spring and fall each year to help clean the Village’s water mains and improve water quality. However, flushing also stirs up rust in the mains which can cause rusty water for a short period of time. We suggest that if you plan to do laundry during flushing week, test your water for rust to avoid staining of clothing, etc. HIGH GRASS AND WEEDS: It is unlawful to permit any grasses or weeds to grow a height exceeding eight (8″) inches anywhere in the Village. Violators will be ticketed. HOUSE NUMBERING: It is the responsibility of the owner and occupant of every house in the Village to have house numbers at least two and one half (2 ½) inches high placed on their residence in a location visible from the street showing the proper street number of the house. TORNADO WARNING SIRENS: The Village’s warning sirens are tested on the first Tuesday of each month at 10:00 a.m. If the sirens are activated at any other time, this means a severe weather emergency, (such as a confirmed tornado or funnel cloud) has been detected in close proximity to the Village and residents should seek cover immediately. The sirens will make a high-pitched tone for a period of three minutes and the warning shall be in effect for a period of one hour. (The Village does not sound an “all clear” siren.) Warning sirens are located on the water tower on Gould Street, on top of the police station on Penfield Street and behind Beecher Manor Nursing Home near Dixie Highway and Church Road. If the weather looks threatening, stay indoors and monitor local television and radio stations for watches and warnings! *Age 12 or under – 8:00 pm Sunday thru Thursday & 10:00 pm Friday & Saturday. Exceptions to the curfew times are; unless accompanied and supervised by a parent, legal guardian or responsible companion at least 21 years of age who has prior approval of the legal parent or guardian; or, if the minor is engaged in a business or occupation, attending an official school function, religious ceremony, activity or other event sponsored by a not for profit community organization, or is traveling directly to or from home for any event or activity specified above. A copy of the entire ordinance can be obtained at the Village Hall or on our “Village Codes” Link. PARKING REGULATIONS AFTER A SNOWFALL: For a period of twenty-four (24) hours after a snowfall of two (2″) inches or more, it is illegal to park on the Village streets or in any public parking space commonly maintained by the Village in the business district between the hours of 1:00 a.m. and 6:00 a..m. Violators are issued a ticket by the Police Department either before or during snow removal and vehicles that pose a traffic safety hazard may be towed. PARKING ON CURBED STREETS: Certain curbed streets in the Village prohibit parking on one side due to the width of the streets. Parking is restricted on certain streets for safety reasons to allow emergency vehicles and school buses to make it through. Not all curbed streets in the Village prohibit parking on both sides. The streets that prohibit parking on one side are posted with signs within the subdivision. E-PAY AND AUTOPAY: The Village of Beecher now provides on-line payment of utility bills, police fines or ordinance violations. Click on the E-Pay link on the Village website (convenience fee applies with E-Pay). Due to the Village contract with the State of Illinois, we do not accept Visa at this time. The Village also offers “Autopay” to pay your water bill. The water bill amount will be deducted from your checking account on the due date each billing period. Download an Autopay form from our website or contact the Village Hall for a form (no convenience fee applies for Autopay).